Mr Simon Bailey as a Director, Mrs Sheila Davies as a Director, Sir Trefor Morris as a Director and Chairman , Mr Robert Phillips as a Director & Mr Chris Titchener as a Director. 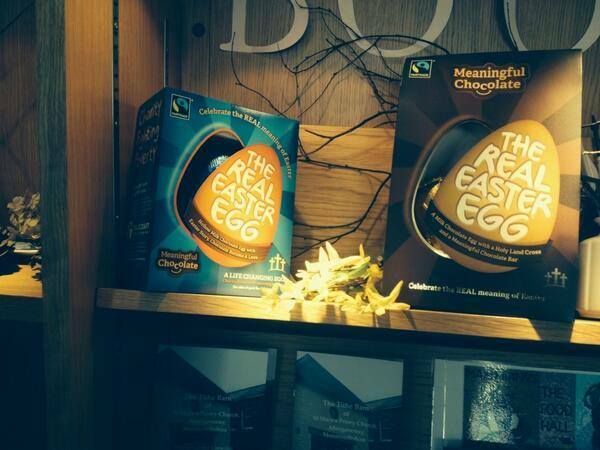 Real Easter Eggs are now available to buy in the Tithe Barn Shop. These eggs are made from Fairtrade ingredients – meaning cocoa and sugar farmers receive a fair price for their produce – and sales of the eggs also help to raise money for Traidcraft Exchange. The Original Eggs are £3.99 each and include an illustrated version of the Easter story, a milk chocolate egg and a bag of chunky chocolate buttons. The Special Edition Eggs are priced at £9.99 each and include a chocolate egg, olive wood holding cross, Easter message booklet and a bar of Meaningful Chocolate.